Real Farm Lives is a digital documentary series which offers a unique, unfiltered glimpse into the daily lives of Canadian farmers. The series follows farm families from across the country, exploring the everyday challenges they face and the hard work, team spirit and amazing skill that goes into overcoming them. 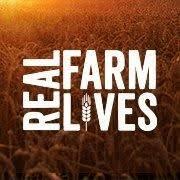 Check out season one at realfarmlives.ca. Season two will consist of six episodes (4-6 minutes each), for web usage, with potential for broadcast down the road. -comfortable in front of the camera. -likeable, down-to-earth, great sense of humor. -outgoing, lots of energy, can easily strike up a conversation with a stranger. -comfortable with travel between mid-May and mid-July: approx 12 days (6 travel and 6 shoot days). -availability and flexibility to travel and shoot other web content, as well as media opportunities. -knowledge or interest in CropLife Canada’s mission, plant science, plant biotechnology, farm to table. -willingness to learn, have fun and take part in farm life while on shoots. **Since the series is online, the host would be playing themselves in the role and we are both considered ‘documentary’ and ‘industry program’, the IPA does not apply. Therefore, we are able to accept both union and non-union submissions. $6000 for 6 episodes, which consists of 6 shoot dates, plus travel time. Hotels, flights and per diem are paid extra.